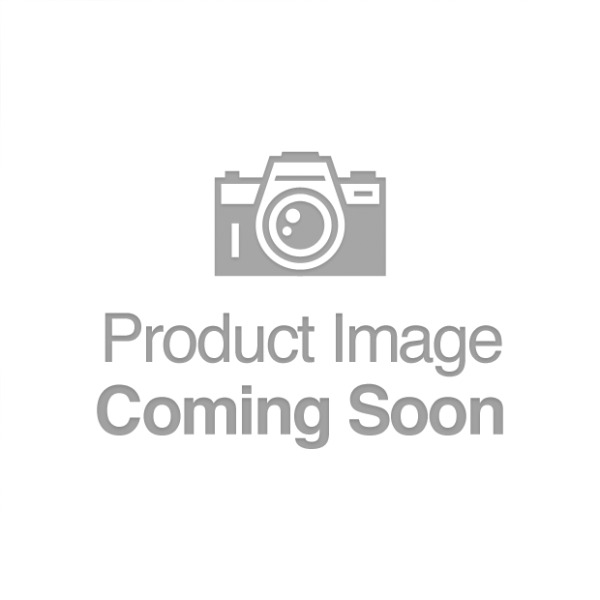 15A P-Lock IEC60320 C14 to C13 | World Cord Sets, Inc.
15A IEC 60320 P-Lock C14 to C13 Power Cables are used with Raritan, ServerTech, and Geist PDU's. These cables are used to securely lock into place on the PDU to avoid accidental disconnects. 15A cables use 14awg cordage. 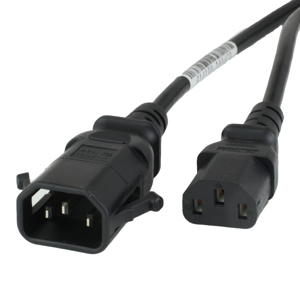 BLACK 15A 250V P-Lock C13 C14 Power Cords. P-Lock power cords are designed to mate with Server Technology PDUs to securely lock the plug to the PDU. This reduces the chance of accidental power loss to equipment due to loose connections. Cordage features a robust SJT jacket. Other colors available include RED, BLUE, YELLOW, and GREEN. 10A Cables also available with a thinner SVT jacket ideally suited for high-density data centers. RED 15A 250V P-Lock C13 C14 Power Cords. P-Lock power cords are designed to mate with Server Technology PDUs to securely lock the plug to the PDU. This reduces the chance of accidental power loss to equipment due to loose connections. Cordage features a robust SJT jacket. Other colors available include BLACK, BLUE, YELLOW, and GREEN. 10A Cables also available with a thinner SVT jacket ideally suited for high-density data centers. 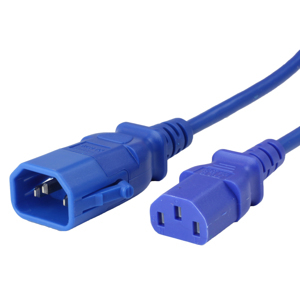 BLUE 15A 250V P-Lock C13 C14 Power Cords. P-Lock power cords are designed to mate with Server Technology PDUs to securely lock the plug to the PDU. This reduces the chance of accidental power loss to equipment due to loose connections. Cordage features a robust SJT jacket. Other colors available include RED, BLACK, YELLOW, and GREEN. 10A Cables also available with a thinner SVT jacket ideally suited for high-density data centers. 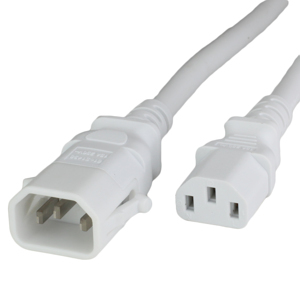 WHITE 15A 250V P-Lock C13 C14 Power Cords. P-Lock power cords are designed to mate with Server Technology PDUs to securely lock the plug to the PDU. This reduces the chance of accidental power loss to equipment due to loose connections. Cordage features a robust SJT jacket. Other colors available include RED, BLUE, YELLOW, and GREEN. 10A Cables also available with a thinner SVT jacket ideally suited for high-density data centers.